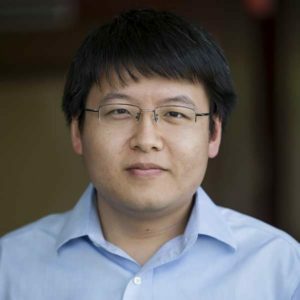 Ruiwei Jiang, assistant professor of industrial and operations engineering, receives a National Science Foundation (NSF) Career Award for his work in operations research. “This award encourages me to continue transforming the scientific frontiers of Operations Research, making positive impacts on energy and other service systems, and inspiring the next generation of engineers,” Jiang said. A wide range of decision-making problems exists in service industries such as healthcare and transportation. These problems involve uncertain parameters, as these parameters partially depend on the decision itself they are considered to be “decision-dependent.” If these uncertain parameters are not included in the decision-making process, they have the potential to undermine system performance. Jiang’s career project will evaluate the potential benefit of incorporating decision-dependent uncertainty into decision-making problems in service industries and investigate new optimization approaches to maneuvering such uncertainty to improve decision-making. “I am particularly excited to conduct this work in the Department of Industrial and Operations Engineering and the University of Michigan, which provide us excellent talents, support, and facilities for the proposed research and educational activities,” he said. If successfully implemented in service industries, the research findings of this project could improve the sustainability of these services and in turn, the well-being of the populations they support. The project will also develop new educational materials including a power system simulation game and a graduate-level course on stochastic and robust optimization to help inspire the next generation of engineers. Jiang has been a member of the IOE faculty since 2015. His research aims to develop data-enabled stochastic optimization (DESO) models and solution methodology that bring together data analytics, integer programming, stochastic programming, and robust optimization.